Posted January 16, 2018 by Jenna & filed under KidLit Coffee Talk. Thanks so much for joining me for another edition of KidLit Coffee Talk! Today, I’m excited to share my interview with the fabulous Katey Howes. I first met Katey at the 2016 NESCBWI conference, and we’ve remained friends ever since. Katey is a force in the kidlit community and is incredibly supportive of other authors. 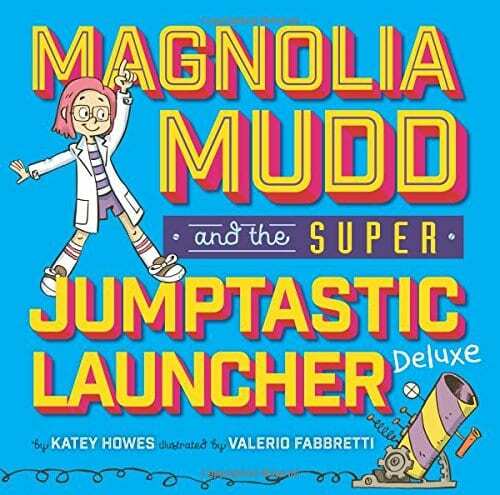 She was kind enough to share a virtual cup of coffee with me and chat about her latest picture book, Magnolia Mudd and the Super Jumptastic Launcher Deluxe. 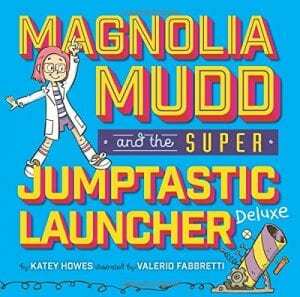 Magnolia Mudd and the Super Jumptastic Launcher Deluxe was released on January 2, 2018 with Sterling Children’s Books and was illustrated by Valerio Fabbretti. I’m generally happiest with a French Roast coffee, brewed at home, no cream or sugar. If I start getting too wired from the caffeine, I’ll switch to water, or a decaf Irish Breakfast Tea. After that, I seem to have entered the “elusive reclusive author” stage, because I didn’t publish anything else for many years! The fame had clearly become too much for me. I returned to writing with the goal of traditional publication in 2014, the same year I started my blog about raising kids who love to read. Since then, I’ve been immersing myself in the children’s literature community through SCBWI conferences and online groups like 12×12 Challenge. Ha ha, I love it! 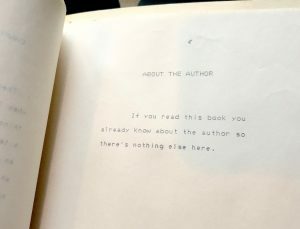 That may be the best “About the Author” I’ve ever seen! Tell me about Magnolia Mudd and the Super Jumptastic Launcher Deluxe, which I absolutely love, by the way. Magnolia Mudd knows what she likes and is true to herself. Her pink hair, knee socks, and lab coat tell you all you need to know about her personal style. Inventing and engineering are Magnolia’s passions – and her rocket scientist Uncle Jamie is her favorite inventing partner. When he announces his engagement to the oh-so-fancy Miss Emily, Magnolia is taken aback. She’s jealous of the time Uncle Jamie will spend with his new wife – instead of cooking up new inventions – and she jumps to conclusions about Miss Emily based on her “girly-girl” style. She also can’t stand the idea of wearing a frilly dress and tossing flowers in the wedding. Magnolia undertakes a mission to invent a new, MUDD-Powered way to be part of the special day. And along the way she discovers that there’s more to her soon-to-be Aunt Emily than meets the eye. Hearing that an editor wants to take your manuscript to acquisitions is both the most exciting and the most nauseating part of the process. There’s so much hope and so much fear in that same moment. Publishing is not for the faint of heart. That is certainly true. What else are you working on? I have a few picture book things in the pipeline I can’t discuss quite yet, and I’m making time this year to rework a picture book concept I love into a chapter book. I’m keeping busy scheduling STEM story times at libraries, bookshops, and science festivals. It’s a lot of fun to pair a read aloud with a stomp rocket! I can imagine story times with you must be a blast! How has life changed for you since becoming a published author? Well, sometimes I get to sign books for people I love, and that’s pretty amazing. And now some of the time I used to spend quiet and alone, writing away, is instead spent in classrooms and auditoriums, TALKING about writing. It’s very rewarding to share my journey and my books with kids – but it can also be stressful and tiring for an introvert like me. 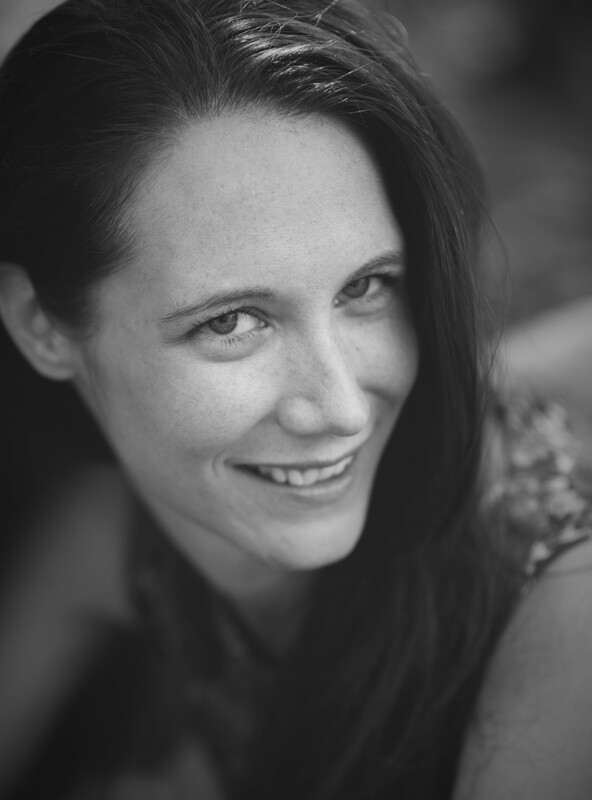 I’m getting used to balancing the different aspects of being a published writer, and making time for the things that are important to me, and to my career. One of the best things about this past year is the community of debut authors that came together as Picture the Books. The support and friendship and guidance this group provided has been amazing. I always loved HOME FOR A BUNNY by Margaret Wise Brown – it’s hypnotically gentle and rhythmic and illustrated so beautifully. I still feel a sense of calm every time I read it. I have A LOT of recent favorites, but I’d say THE STORYTELLER by Evan Turk is one that made a permanent home in my heart. I just finished reading another January 2, 2018 release, Everless by Sara Holland. What are you currently reading? I’m never reading just one book! Right now I’m reading THE TWELVE LIVES OF SAMUEL HAWLEY by Hannah Tinti just for me, plus ECHO by Pam Munoz Ryan and A WRINKLE IN TIME by Madleine L’Engle aloud with my girls. Reading aloud with my kiddos is one of my favorite things, too. What is one thing most people don’t know about you? Most people don’t know that I used to run hurdles – which is why I now groan and complain about my hip every time I have to get up off the floor. Ha ha, I know the feeling! I ran hurdles in high school, too. Thank you so much for joining me, Katey. It is always a pleasure.